A Henry County school bus driver and a bus aide are charged are charged with assaulting a 10-year-old student three different times last fall. The county sheriff’s office says Margaret Thompson and Carolyn Noel face assault and battery charges. Both women are 70. Officials say the student was not injured. From the Henry County Sheriff’s Office: On December 5, 2018, the Henry County Sheriff’s Office received a complaint in regards to a juvenile, 10 years of age being assaulted while riding a Henry County school bus. 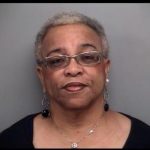 Through the course of the investigation, it was determined that the driver of the bus, Margaret M. Thompson, assaulted the juvenile victim twice on November 15, 2018. The bus aide, Carolyn G. Noel, assaulted the juvenile victim on October 26, 2018 and twice on November 15, 2018. The victim did not sustain any physical injuries during the assaults. 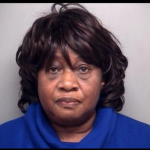 The driver of the bus, Margaret Madoline Thompson, 70, of 35 Trott Circle, Martinsville, VA was indicted by a Henry County Grand Jury for 2 counts of assault and battery. Thomas was arrested on January 30, 2019 and released on a $2500.00 unsecured bond. The bus aide, Carolyn Gravely Noel, 70 of 100 Daisy Ln., Martinsville, VA was indicted by a Henry County Grand Jury for 3 counts of assault and battery. Noel was arrested on January 31, 2019 and released on a $5000.00 unsecured bond.